In some ways genealogy has changed immensely over the last thirty years. Access to records (for the most part) has changed and communication among genealogists is better and faster than ever before. In some ways genealogy research has not changed at all. Analysis and interpretation are still crucial. As we have access to more data, the ability to sort information and to reach logical conclusions becomes even more important and distinguishes those who collect data from those who synthesize data. As collection becomes easier and more automated, analysis become even more crucial. 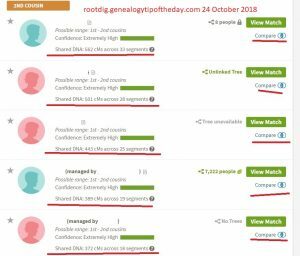 While certain records are closed and there are occasional limitations on access, genealogists generally have much greater access to records than they did thirty years ago. If the access is not greater, it certainly is faster and easier to obtain many records than it was “back in the day.” There are more indexes available, more finding aids are within a moment’s reach, and many records can be acquired in a fraction of the time it used to take–sometimes within minutes. Despite the improved speed of access, genealogists need to remain cognizant of access issues and be wary of attempts to restrict our ability to obtain records. There was one advantage to digging for records the “old fashioned” way (also known as a manual search). It forced the searcher to familiarize themselves with the records. There were no online indexes one could use to bypass the page-by-page search. The end result of that manual search and the page-by-page reading of the records was that the conscientious researcher became familiar with how the records were organized, what information each record typically contained, and how each record was structured. That knowledge benefited the researcher and helped them to analyze and interpret information in context. When I point and click my way to a record, I don’t develop those skills. I’m not as familiar with the records. Often when it is suggested today that a researcher conduct a page-by-page search in order to locate an item on an ancestor, the response is that “I’ll wait until they are indexed. I’m not going to take that much time and effort.” That robs the researcher of the joy of making a manual discovery and it also robs them of learning about the records they are trying to use. Technology gives us greater access to information. It’s still up to us to think. Thanks for the reminder to get back to books. I hadn’t thought about indexes this way, but I think you’re on target here. I recently spent six hours going through deeds in a court house because an ancestor didn’t show up in the index. I had been told that the indexes were a mess and hsd missed many people. I found one hundred pages that were so faded no one could read them. My ancestor’s deed is probably in there somewhere. When you only have two days in a location to do research it is frustrating. But at least I know why I didn’t find that deed.